Do you ride the escalator-or take the stairs? No matter how you define success, it always requires one thing: self-discipline. But as popular speaker and strategist Rory Vaden explains, we live in an “escalator world”-one that’s filled with shortcuts, quick fixes, and distractions that make it all too easy to slide into procrastination, compromise, and mediocrity. What seems like an easier path is really much harder in the end-and, most important, it won’t take you where you want to go. How do successful people stay focused and achieve results? This lively and insightful guide presents a simple program for taking the stairs-that is, for overcoming the temptations of quick fixes and procrastination, conquering creative avoidance, and transcending personal setbacks in order to tackle the work that leads to real success. 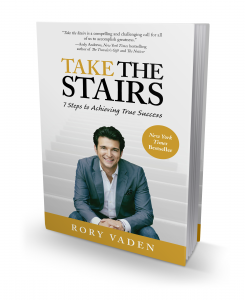 Whatever your goals are, Rory Vaden’s proven approach will get you there-one stair at a time. Rory Vaden is an award-winning sales trainer, strategist, and motivational speaker who empowers professionals to conquer their fears and take immediate action to improve their careers and their lives. 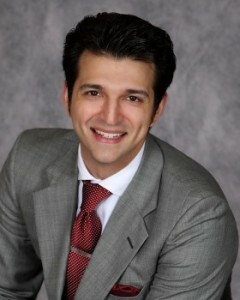 He is the cofounder of Southwestern Consulting, a multimillion-dollar international training company.